Analyzing hundreds of films, including classics such as You Can’t Take It With You, Rosemary’s Baby, Grumpy Old Men, and Nebraska, this book critiques Hollywood’s representations of aging and the elderly from the silent era to the present. 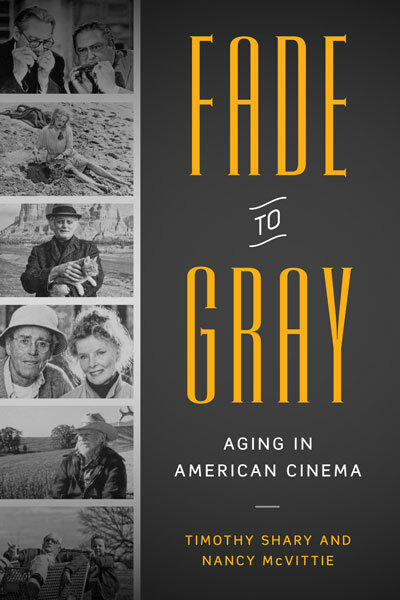 Fade to Gray offers one of the first extended studies of the portrayal of older people in American cinema from the silent era to the present. Writing in an accessible style for both general audiences and scholars, Timothy Shary and Nancy McVittie examine social attitudes toward aging through an analysis of hundreds of individual films, including such classics as You Can’t Take It With You (1938), Rosemary’s Baby (1968), Grumpy Old Men (1993), and Nebraska (2013). They show how representations of the aging process and depictions of older people embracing or enduring the various experiences of longer lives have evolved over the past century, as well as how film industry practices have both reflected and influenced perceptions of aging in American society. Exposing the social and political motivations for negative cinematic portrayals of the elderly, Fade to Gray also gives visibility to films that provide opportunities for better understanding and appreciation of the aged and the aging process. The Formation of "Adult Films"
Shary is the author or editor of several books on the representational politics of age and gender, including Generation Multiplex: The Image of Youth in American Cinema Since 1980 and Youth Culture in Global Cinema. McVittie is an instructor in the Department of Communication, Media, and Theatre at Northeastern Illinois University.